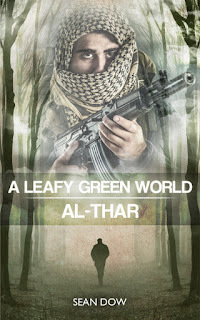 A Leafy Green World is a fast paced, action packed thriller set in the Pacific Northwest. Dr. Brent Holcomb has moved to Portland in hopes of resurrecting his life and his career, when he meets Robyn, the girl from his dreams. All is going smoothly, until he realizes Robyn and her friends are not what they seem. Now, wrapped up in the murder of an innocent man, and with nowhere to turn, Brent forms a bold plan-a plan that will put him on a dangerous course, aligning himself with domestic terrorists and ultimately, a deeply hidden cell of Islamic terrorists.